Ray Riegert and Thomas Moore, eds. Ulysses Press; First Trade Paper Edition, 2006. Many of us are familiar with the history of Western Christianity, shaped by Greek philosophy, Roman organization, and European culture. But what of Eastern Christianity? The spread of Christianity east of the Roman Empire – throughout Syria, Persia, India, and China – is much less well known. 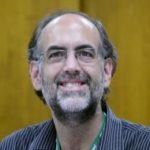 Jesus’ gospel in the East looked very different from Jesus’ gospel in the West, which was defined by increasingly precise creeds and institutional requirements. 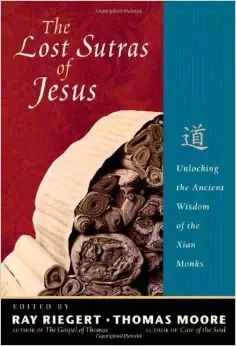 A fascinating glimpse of this far Eastern Christianity is available in the little book The Lost Sutras of Jesus: Unlocking the Ancient Wisdom of the Xian Monks, edited by Ray Riegert and Thomas Moore. This book is divided into three sections: the historical story of the recovery of the Jesus Sutras, excerpts from the Sutras themselves, and, finally, reflections on the Jesus Sutras for today. The story of earliest Christianity in China is described most explicitly on a Nestorian monument in China, which was constructed in 781 CE. It tells of the arrival of Eastern Christian missionaries from Persia led by a monk named Aleben, who traveled along the Silk Road to Chang-an (now known as Xian) in 635 CE (cf. pp. 3, 6, 60–65). In 638 CE, the sympathetic Emperor Taizong had a Persian temple built for Aleben (p. 16), and after his death a decade later, his son Gaozong continued to support “the Luminous Religion” (as it was known in China), constructing Christian temples in a hundred cities (p. 23). But within sixty years, conservative Taoists and Confucians began persecuting Buddhists and Christians, and within two centuries, the original Eastern Christianity of China was extinct (ibid.). The next time Christianity came to China, it was the Westernized version brought by Catholic missionaries. In 1005 CE, over 50,000 scrolls, mainly Buddhist documents (p. 22), were sealed in a cave along the Silk Road where they remained undiscovered until early in the twentieth century. Among them were eight scrolls (translated into English in the 1930s) articulating a distinctly Eastern form of Christianity. As the authors put it, “1300 years ago in China, Christianity mingled with Buddhism and Taoism to produce a fresh and enlightening new source of spiritual wisdom in the writings of Aleben and his later followers” (p. 124). Or perhaps it may be said that this was a more indigenous expression of the Christian faith in Chinese terms. Forgive all others and in this way you will be forgiven for the evil deeds you have done. Also remember to forgive yourself. For just as you forgive, so does the One Spirit forgive you. By forgiving others you will be forgiven (p. 73). Do not look for bad qualities in people. Seek the best in others and learn from them how to be good. If you have a beam stuck in your own eye, don’t turn to someone else and say, “You have something in your eye which I will remove.” Don’t be a hypocrite; first take the beam out of your own eye (pp. 74,75). The Sutras are like a great fire burning upon a high mountain. The light from that fire shines upon all (p. 91). Other Jesus Sutras are less familiar, including “The Ten Methods for Meditating on the World” (pp. 47–52), “The Four Laws of the Dharma” (pp. 78–83), and “The Five Skandhas” (pp. 96–100). The Jesus Sutras narrate the Story of Jesus (pp. 113–119), including the virgin birth (p. 115) and baptism by John (p. 116). The narrative goes on to say that “From the time the Messiah was 12 until he was 32 years old, he sought out people with bad karma and directed them to turn around and create good karma by following a wholesome path. After the Messiah had gathered 12 disciples, he concerned himself with the suffering of others” (p. 117). Finally, “For the sake of all living beings and to show us that a human life is as frail as a candle flame, the Messiah gave his body to these people of unwholesome karma. For the sake of the living in this world, he gave up his life” (p. 119). The Eastern Christian wisdom of these Sutras is as refreshing as it is enlightening. Its recovery is a divine gift for which we may be most grateful.